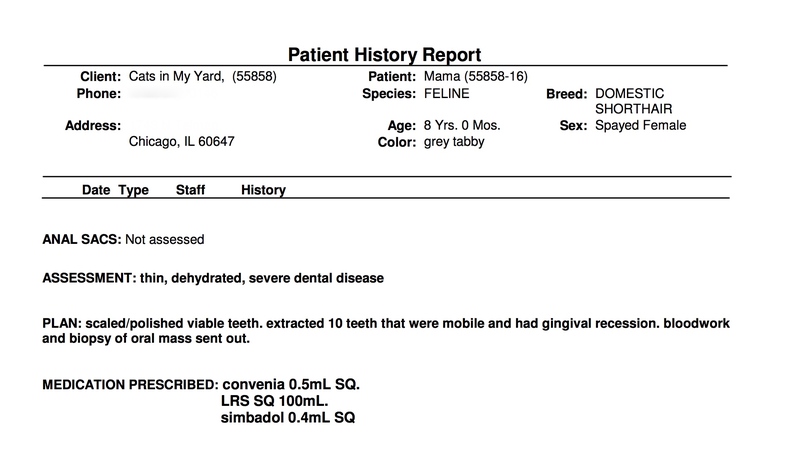 Mama, a cat from Kristina’s colony, had an infection in her mouth this winter. She was eating only with one side of her mouth and had fluids coming out. Kristina tried giving her antibiotics which seemed to help, but then last week Mama became lethargic and stopped eating. 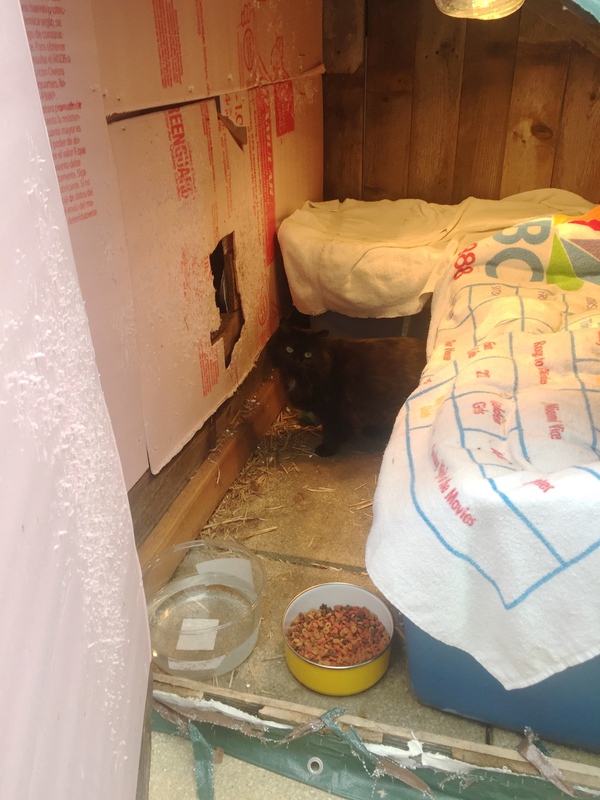 She was so weak that Kristina was able to scoop her up into a cat carrier and took her straight to our amazing vets at Elmhurst Animal Care Center. They gave her a dental and pulled TEN teeth. She was given antibiotics, pain meds and fluids. After her vet visit, Kristina took Mama home to recover from her dental. She is now inside and can roam in her basement, because she is used to waiting by Kristina’s basement door for food. Mama continued to refuse to eat. I went to go visit with a variety of cat food to try, as well as Gerber chicken baby food. 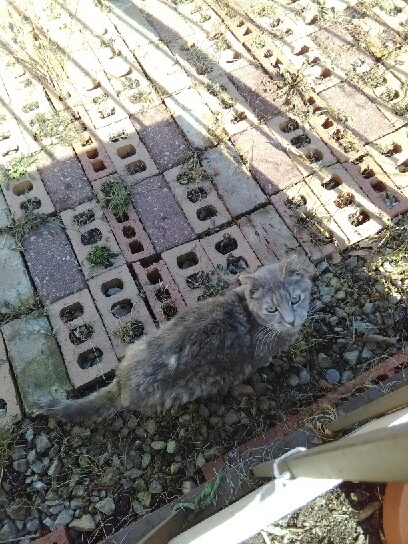 I couldn’t get a good photo of Mama because she is feral and ran from me, but after I left Kristina told me that Mama ate the baby food! 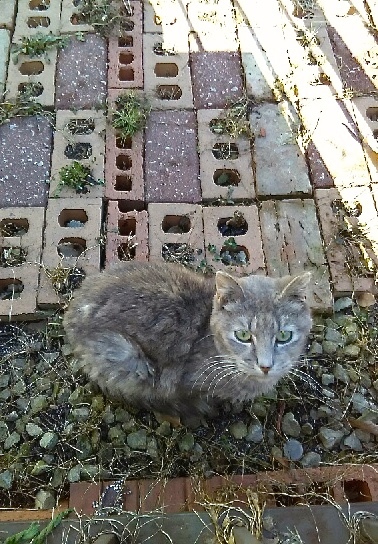 Kristina cares for about five TNR’d cats in her yard, and two other colonies a few blocks away. Mama was TNR’d nine years ago, so she’s led a good long life so far. 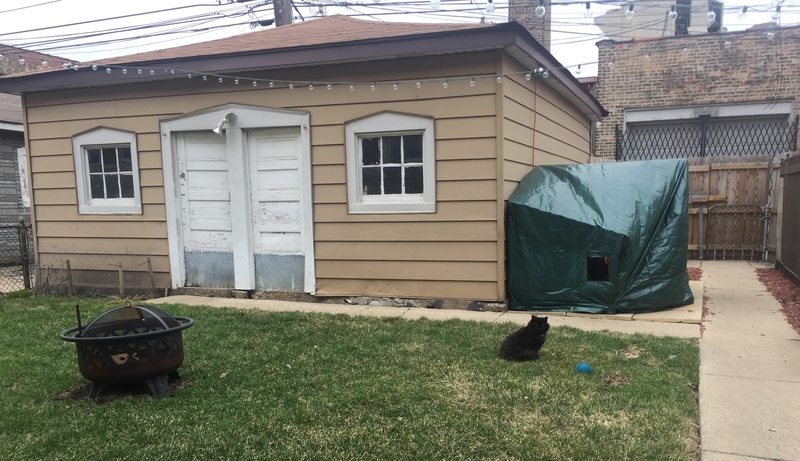 Mama and the other cats live in this amazing outdoor cat house in their yard, next to their garage. 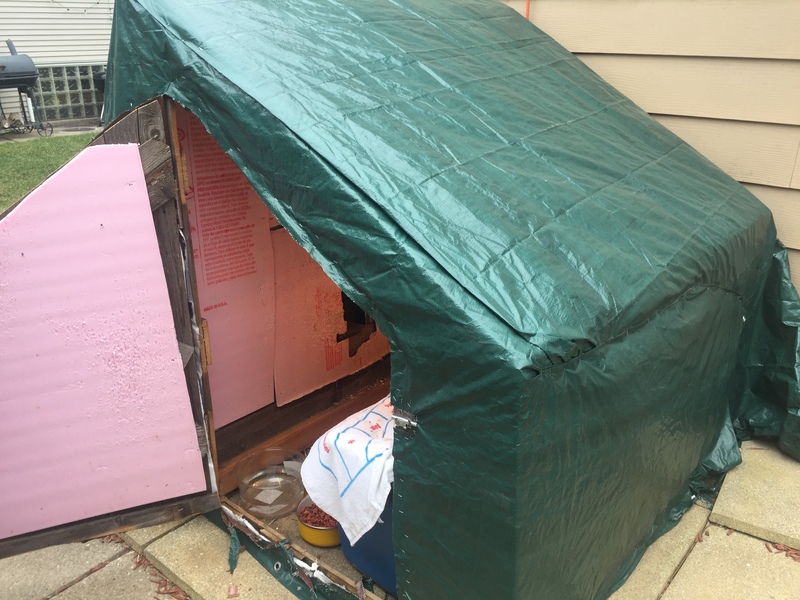 I gave Kristina a wood shelter years ago, and Kristina’s boyfriend Matt built it up into this much bigger space, encased with a tarp for warmth. The inside of this shelter is insulated. 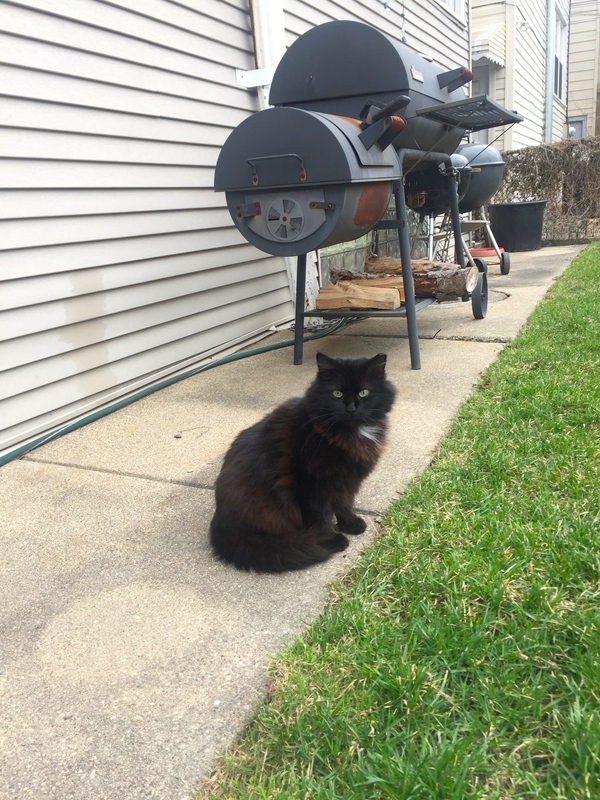 The black cat in these photos is Mama’s colony friend, Spot. He made sure to show me all around their yard. We don’t know what to expect yet with Mama, but we are hoping for the best. She will get the best care we can provide. Please send healing thoughts her way! 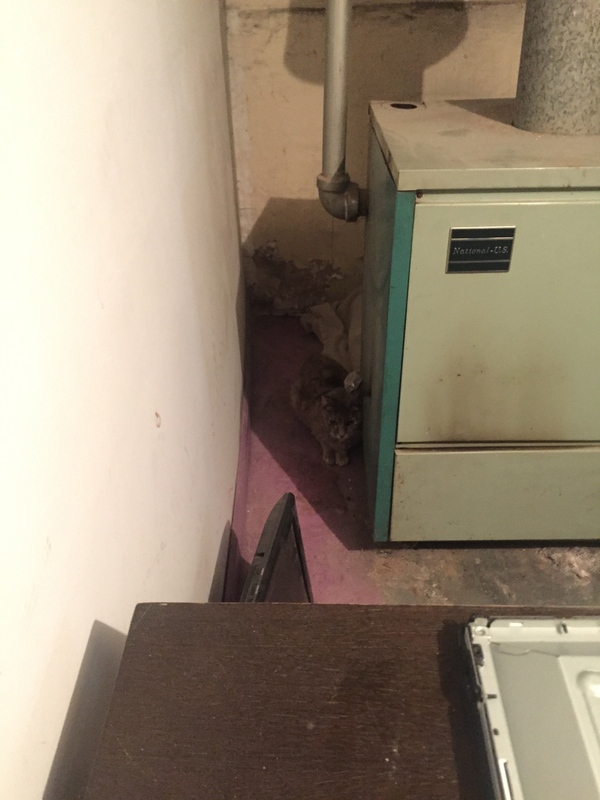 < Previous: Helping Norman Edwards, a Former Colony Cat, Get Ready for Adoption!